I was talking to my girlfriend about the Corvette I made her, and how I had so many customs. 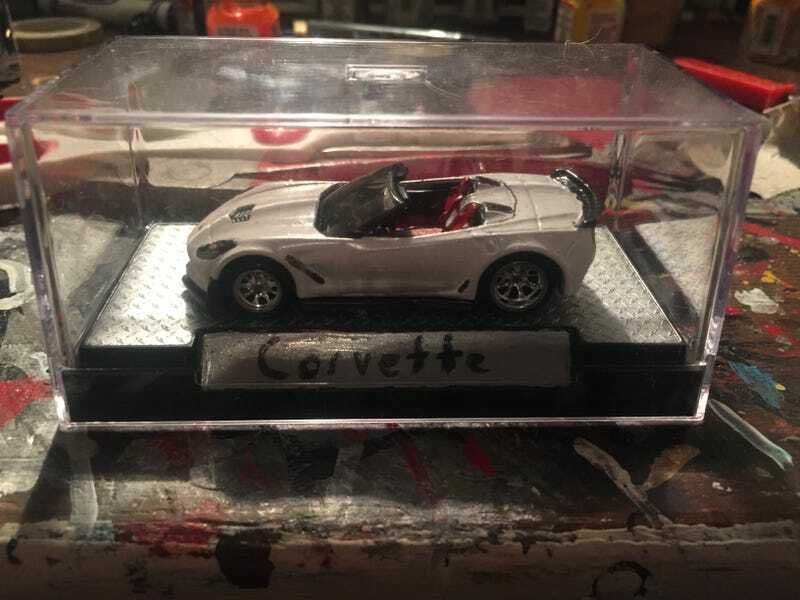 I went through and counted my customs up, and realized that her white Corvette was my 100th finished custom. Which makes for one helluva coincidence. This is a long journey since I started on April 10th. I’ve been making customs for 278 days, leading to 1 custom every 2.78 days. While the quality of my work has vastly improved, a lot of it is because in the beginning I was just flying through customs. I’m talking 15 minutes of actual work per car. Now I’m averaging maybe an hour or two per custom, as I’m doing more surface prep, and take more times doing detailing. And I can go weeks without making a custom. I don’t think I really made one in December due to the freezing temperatures and my inability to spray paint.